Forever Scaffolding and Tech. Contracting was established in the year 2004 in Sharjah and we have been rendering our services in the scaffolding field, very successfully, since then. We rent out cuplock scaffolding and aluminium scaffolding on weekly/monthly basis. We also undertake scaffolding installation and dismantling works for buildings/ships/maintenance / advertisement boards and stages for the events. The company is being managed by highly experienced and competent Engineers and specialist in the field. 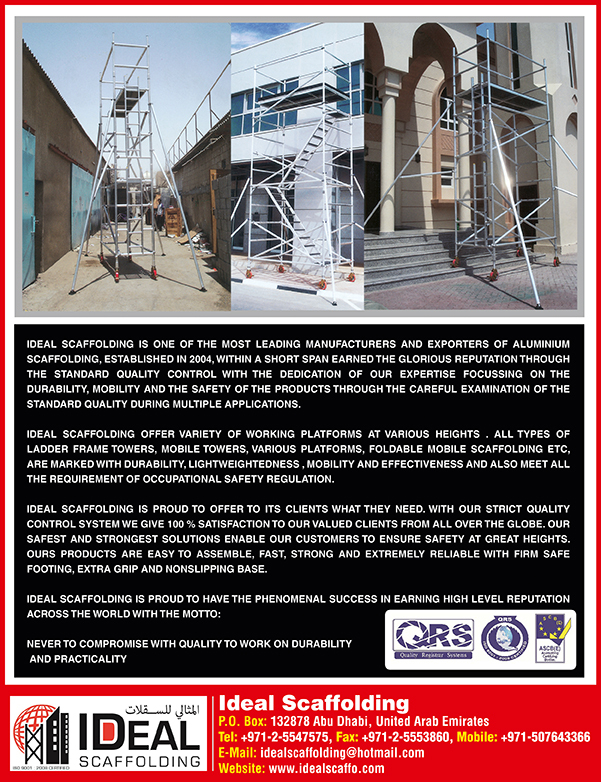 Our competent and certified scaffolders, Inspectors and Engineers together makes all our projects very successful and brings us more clients across all the emirates in United Arab Emirates. We give top priority for the health and safety of employees than anything else and committed to complete the contract jobs safely and on time. We are very proud to announce that we have not even have any lost time accidents at our project till now from the inception of the company. Scaffoldings are a framework of steel bars, bamboo or timber that is constructed to allow construction workers access to the work areas of the building under construction. Scaffoldings are not only used during construction but are also used for maintenance workers to access and clean windows. Steel is the most common material used for scaffolds because of its strength and durability. There are different types of scaffolds such as supported scaffolds, suspended scaffolds, aerial lifts and rolling scaffolds. ported scaffoldings are mostly used at construction sites. Supported scaffolds are ideal for the construction of tall structures because supported scaffolds provide more height when compared to other kinds of scaffolds and additional support could be added to the framework if required. 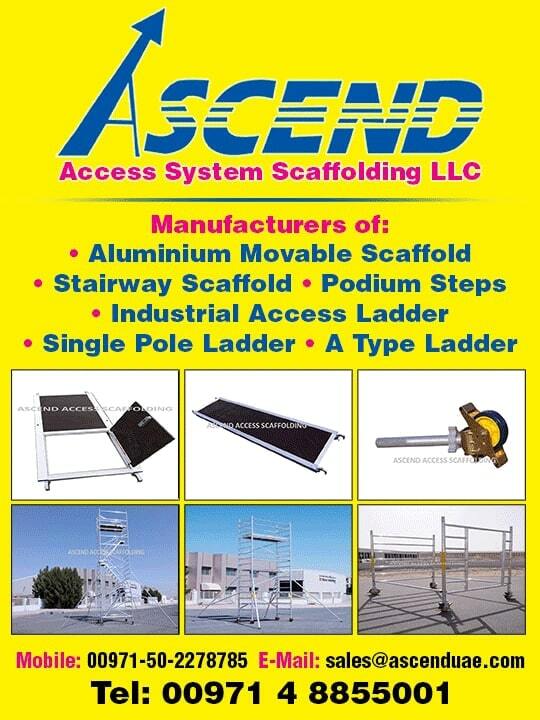 Suspended scaffolds are scaffolds that are suspended from the roof or a building. Suspended scaffoldings are used when it is impossible to construct supported scaffolds and they are also used to carry out repairs. The advantage of using suspended scaffolds is that they are easy to install. Rolling scaffolds have wheels installed at the base of the scaffolds. They do not need to be dismantled and can be easily to moved to another spot at the construction site. Scaffoldings could be hired and the most popular locations in UAE to hire scaffolds are Jebel Ali, Sajja industrial area in Sharjah and Mussafah in Abu Dhabi.